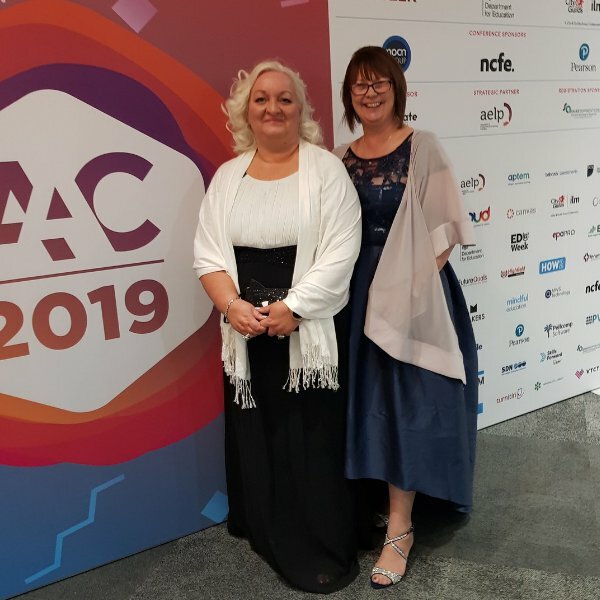 National training provider, Remit Group, was named runner-up at the AAC Awards 2019 for its dedication to supporting learners with special educational needs and disabilities. The Nottingham-based firm was a national finalist in the SEND Apprentice Champion category at the awards ceremony held last night at the ICC Birmingham. Remit is not just following the SEND code of practice, but has embedded it within its business, using early intervention to enhance an individual’s chance of success. In fact, Remit has seen a 4.8% increase on the overall success rates of its learners, compared to those without learning support intervention. They also continue to close the gap between learners with no additional learning needs, and those with them. “Firstly we’d like to congratulate our fellow finalists, Weston College, in winning this award. We’re delighted to have been recognised for our work in supporting learners with special educational needs and disabilities. It has always been a focus for us at Remit, it’s an integral part of the way we do things in our day to day operations to ensure all our learners are able to fulfill their potential. Remit’s additional support ranges from help with English, maths and ICT skills, to providing extra resources, such as BSL interpreters, assistive technology, rulers, magnifiers and coloured papers. They will also work on a learner’s confidence building, teamwork skills, self-esteem and general life skills, creating individual and tailored support plans to help keep each learner on track with their training. For further information on apprenticeships and training opportunities with Remit, as well as the additional support for those with special educational needs and disabilities, please visit the website: www.remit.co.uk or call us on 0115 759 550.